Tonkatsu sauce is a tangy, fresh, fruity sauce with a tart zing which can be eaten with any food but the name actually relates to its most frequent accompaniment, a pork cutlet. 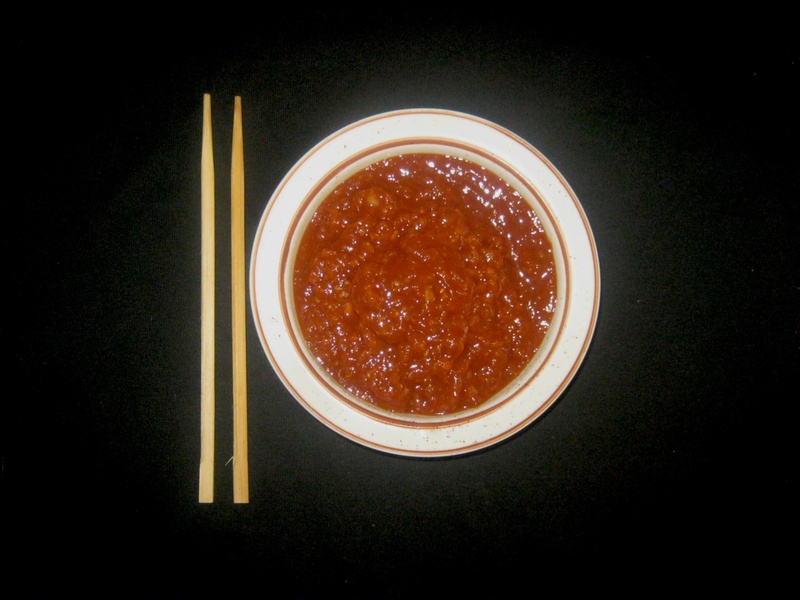 The sauce that was sometimes eaten with cutlets in Japan has acquired the name of the food it accompanied. This is a language principle for making new words you will see in many avenues of life. I use so many adjectives to describe the sauce because it combines many strong flavors and none of the words say it all. This version of the sauce was created was perfect with fried chicken steaks. It contains sour apples, ketchup, ginger, garlic and Carolina Reaper chili powder amongst other ingredients. These powerful flavors cut through and complement the starchy fattiness of the crumbed chicken breast steaks to achieve an integrated whole that delights. 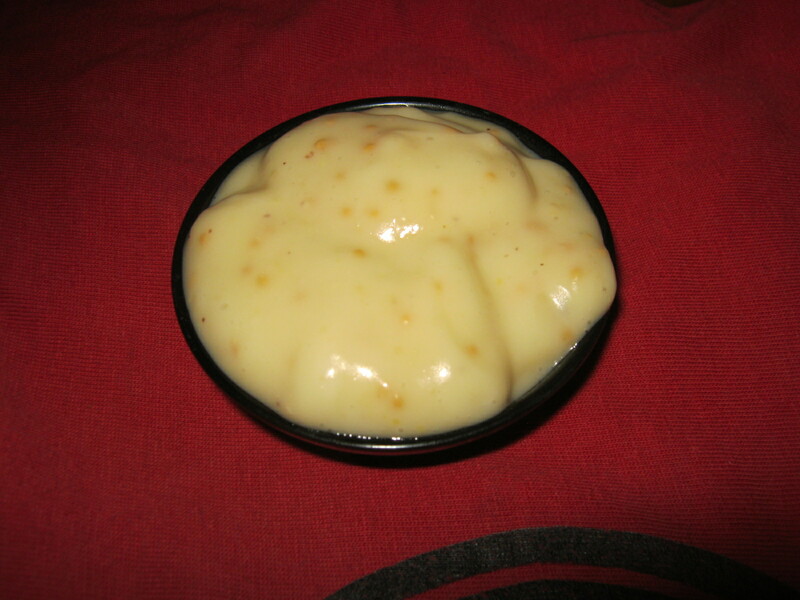 The sauce was left with some texture, rather than blending it smooth. The name Tonkatsu reveals an interesting interplay of cultures. From ton, or pork, and katsu, a word derived from the English 'cutlet'. The cutlets are hammered flat, breaded and deep fried like schnitzel. The dish appeared through the exchange of ideas about cuisine, when western style restaurants became popular in 19th century Japan. Cutlets also became an element in fast food for drivers, like diner food in the US. The dish has become popular throughout the far east and these types of crumbed cutlet can be served with cabbage, bread, kimchi or rice depending on the tradition in the national cuisine you are following. In terms of flavor the sauce stands out as very memorable. It tastes as if it is loaded with vitamins. With 15-20 minutes preparation time it is neither fast food nor time consuming. It comes highly recommended by the lucky spouse of our looking at cooking chef, Stephan. 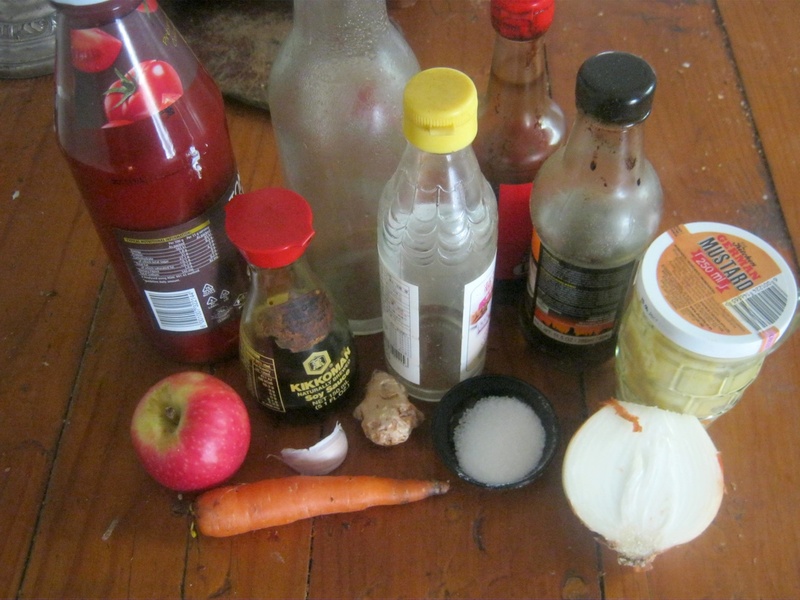 As written above there are many variations of this famous sauce in existence and many have developed over years to suit the taste of the individual chefs and their clientele. If you are short of time and want to rather purchase a commercially available "Tonkatsu sauce" try one of the "Bulldog Range." The link below shows one of the most popular sauces of their range. Please take note that if you are purchasing the item following the above provided link I will receive a small affiliate commission with no extra cost to you!